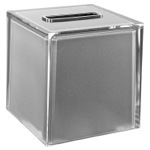 Usually ships in 3 weeks. 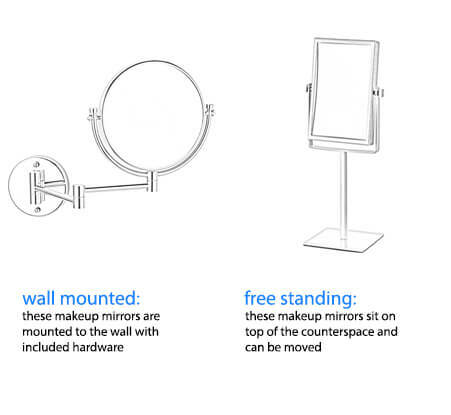 Luxury or contemporary, this wall mounted makeup mirror is the perfect fit for any bathroom. 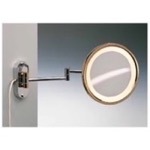 Made in Spain out of high quality brass, it comes available in four finishes; chrome, gold, chrome and gold, or satin nickel, and with your choice of 3x or 5x magnification. 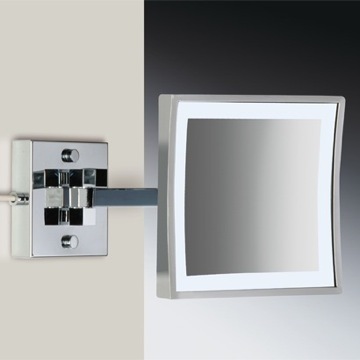 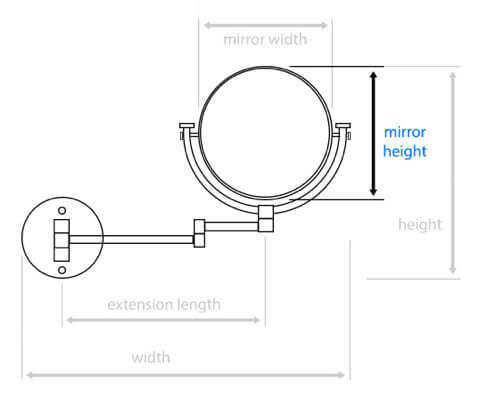 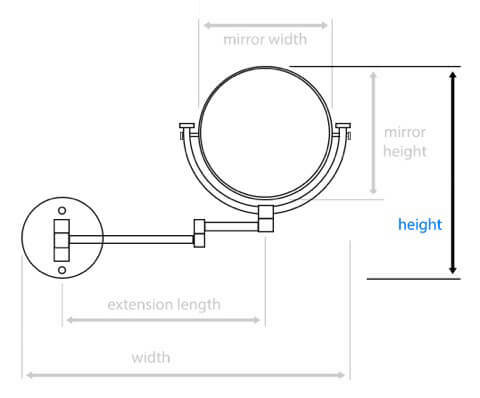 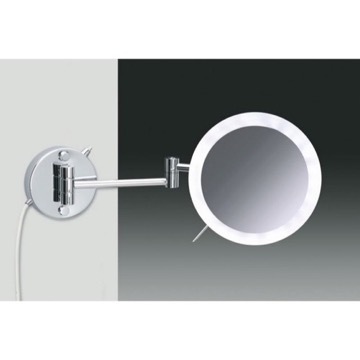 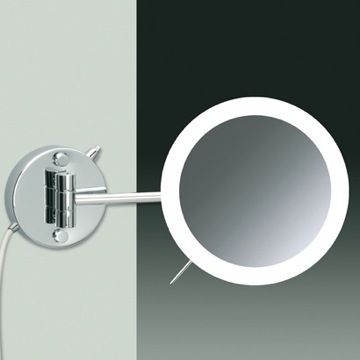 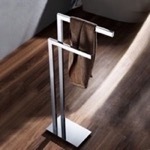 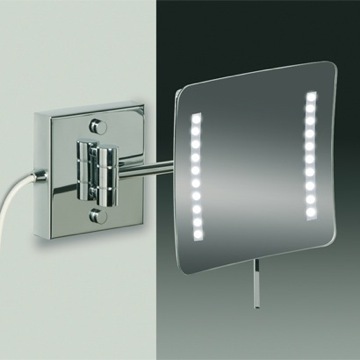 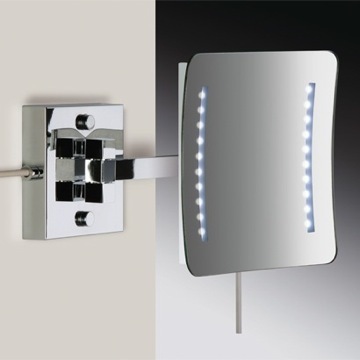 The extendable double arm allows the single face mirror to be positioned however you'd like, and the built in LED lighting only enhances the functionality of this mirror. 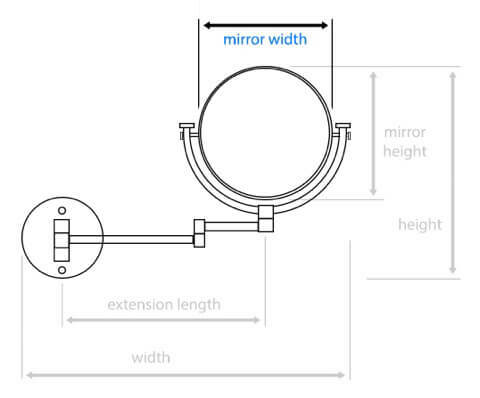 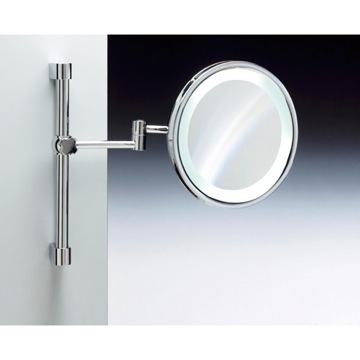 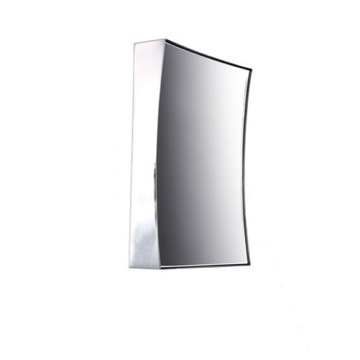 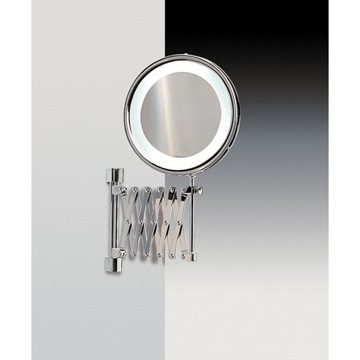 A sensible option for a luxury or contemporary personal bathroom, this wall optical mirror is the perfect option. 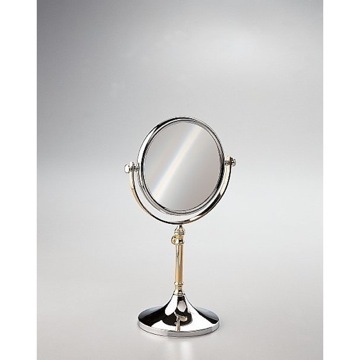 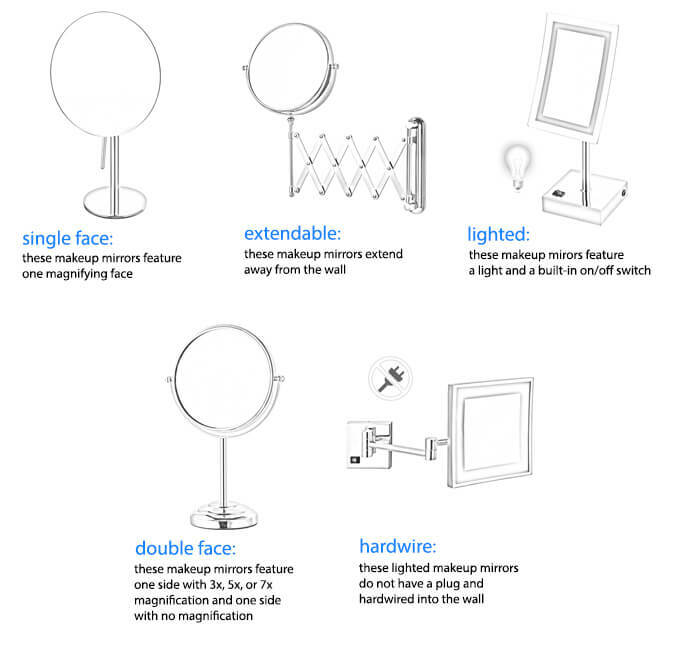 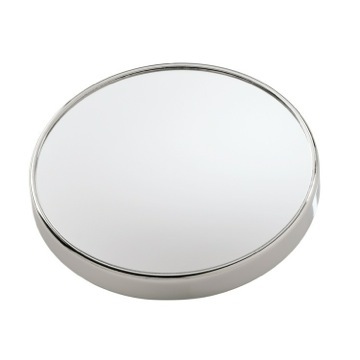 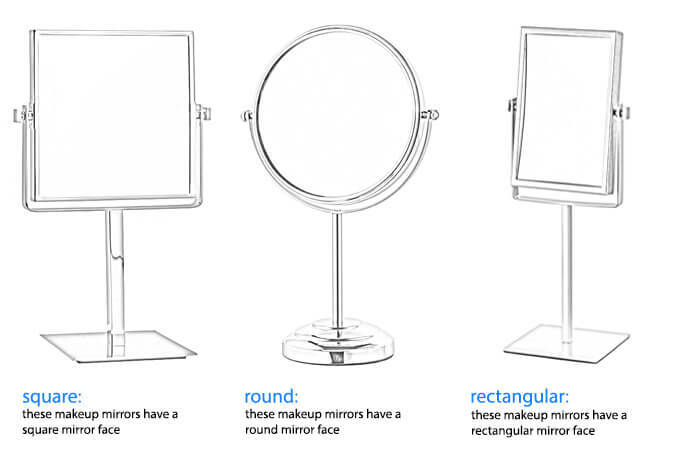 Manufactured in and imported from spain with the highest quality brass and available in chrome, gold, chrome and gold, or satin nickel, this makeup mirror is part of the Windisch Warm Light collection. 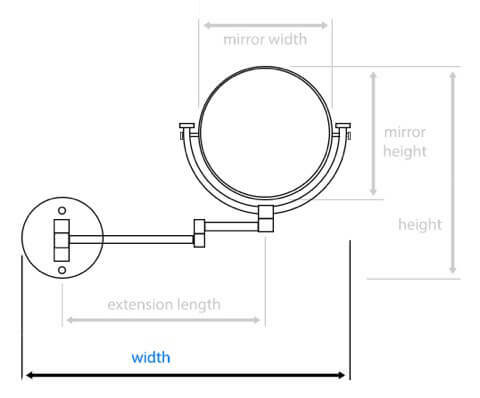 Can you provide any tech specs? 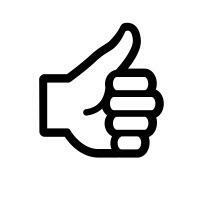 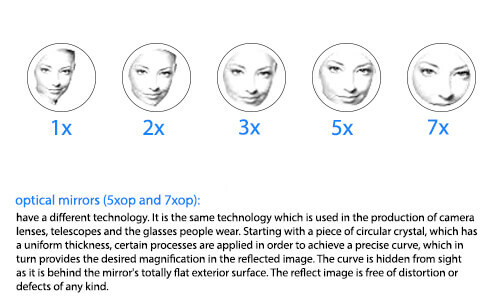 Please see attached tech spec photo for this product. 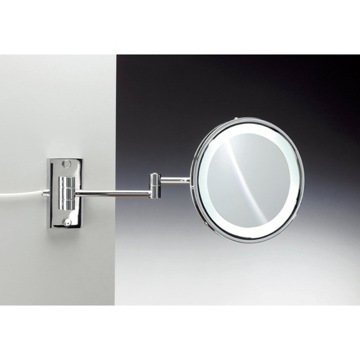 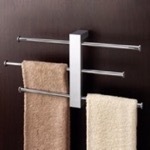 Several adjectives come to mind when describing Windisch bathroom accessories - luxury, decorative, and designer quality are among them. 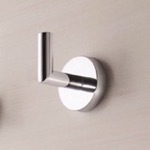 Since Windisch's inception in Spain in 1934, the company has continued to hold true to its tradition of manufacturing the highest quality bathroom accessories. 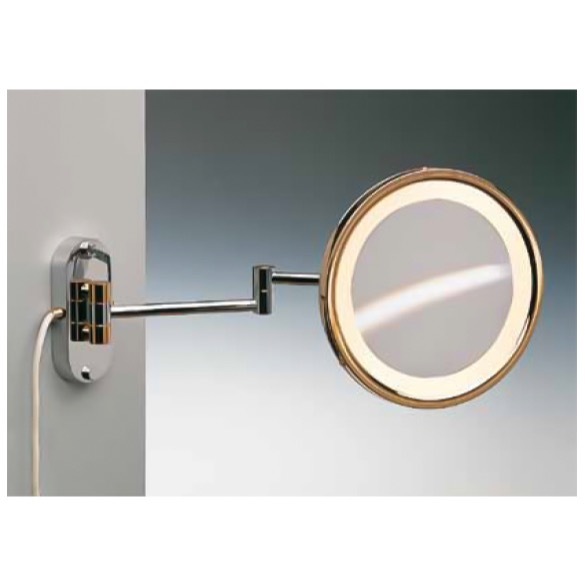 It starts with the contemporary and almost royal design of their products -- and in the end, the collections comer together using only the highest quality materials such as solid brass and gold. 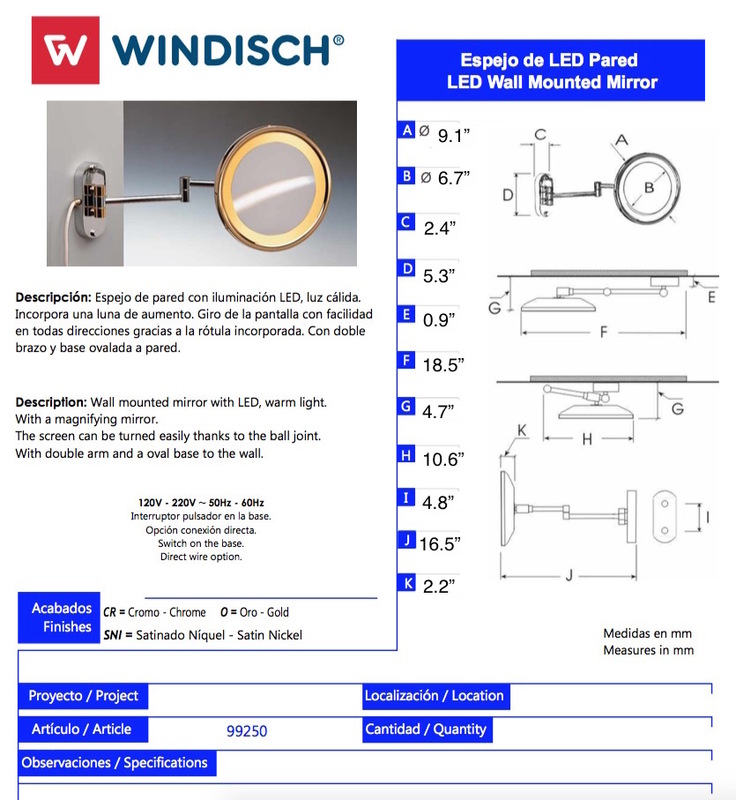 In reality, whether the product is made out of solid brass or frosted glass, the weightiness and the quality of a Windisch product is readily apparent right when you first hold it. 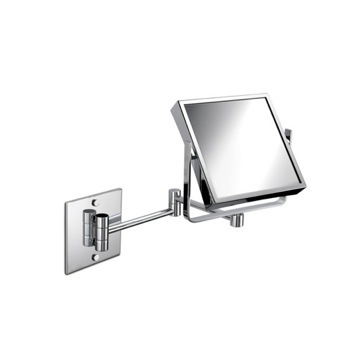 Windisch's soap dispensers and soap dishes, in particular, have gained worldwide attention for their quality and prestige.